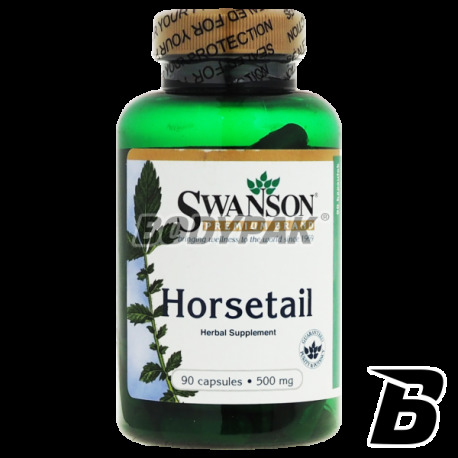 Health & BeautySwanson Horsetail [Skrzyp polny] 500mg - 90 kaps. 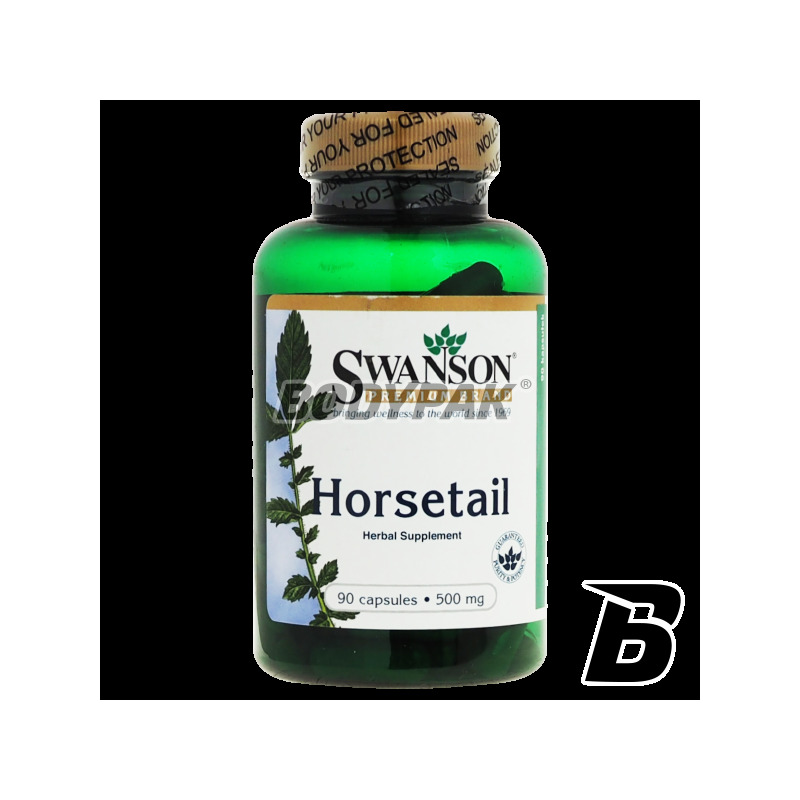 Swanson Horsetail [Skrzyp polny] 500mg - 90 kaps. Supplement Swanson brand include horsetail - herb with a positive impact on both the beauty and health. Swanson Horestail a wealth of mineral compounds and biologically active substances. Swanson Horsetail [horsetail] is an excellent natural source of silica. Thanks to it horsetail exhibits such wide application. Silicon is a trace element, the amount of which in the body decreases with age, and it plays a very important role in bone mineralization, preventing them descaling, Horsetail supplement recommended for regular use for the elderly. Silicon watches over the humidity of the connective tissue, and therefore provides flexibility and healthy appearance of the skin and prevents wrinkle formation processes. Silicon from horsetail Swanson Horsetail supplement with unique properties and broad impact, both on health and beauty. Horsetail herb is a source of easily digestible silica, which is found in hair, skin and nails in large quantities. Therefore, cheap supplement for women Horsetail shows beneficial effects on hair, skin and nails. Swanson Horsetail capsules gives the skin elasticity, counteracts aging processes, strengthens brittle and breaking nails, and provides a healthy appearance of hair. Conditioner Swanson Horsetail is a cheap natural supplement that provides healthy and look pretty, and above all acting rejuvenating. Składniki: skrzyp polny, otoczka kapsułki: żelatyna, substancja wypełniająca: celuloza mikrokrystaliczna, substancje przeciwzbrylające (stearynian magnezu i dwutlenek krzemu). Polecam szczególnie dla osób które zmagają się z wypadaniem wlosow i łamliwoscia paznokci. Stosuję drugie opakowanie i efekty są wspaniałe! Swanson NADH 10mg - 30 tabl. Swanson Beef Liver is 100% degreased and powdered beef liver originating from oxen Argentine pasionych on selected meadows Argentine.